Is 2 Broke Girls Cancelled? At the time of this writing 2 Broke Girls has not yet been renewed for its 7th Season. This past Wednesday the finale for Season 6 of 2 Broke Girls aired with a viewership of roughly 4.57 million. This is 70 thousand less than the preceding week, and bookends the steady, gradual decline that began back in February. It’s the smallest audience the sitcom has had, not only in what has been a poor season ratings-wise, but since it first began airing. In other words, 2 Broke Girls is not doing well. There’s no other way of putting it. Being critically panned doesn’t matter at all if people are watching, but all indicators point to this not being the case. Now granted, the numbers presented are via The Nielsen Company, and don’t account for any viewers who may choose to stream the show online, but they provide a fairly compelling picture all things considering. Is this the end of 2 Broke Girls? That’s a question that may have been on your mind while watching this episode, and which I’m actually going to be addressing a little later this week. For now let’s live in the moment and break down whether or not “And 2 Broke Girls: The Movie” was a successful season finale. 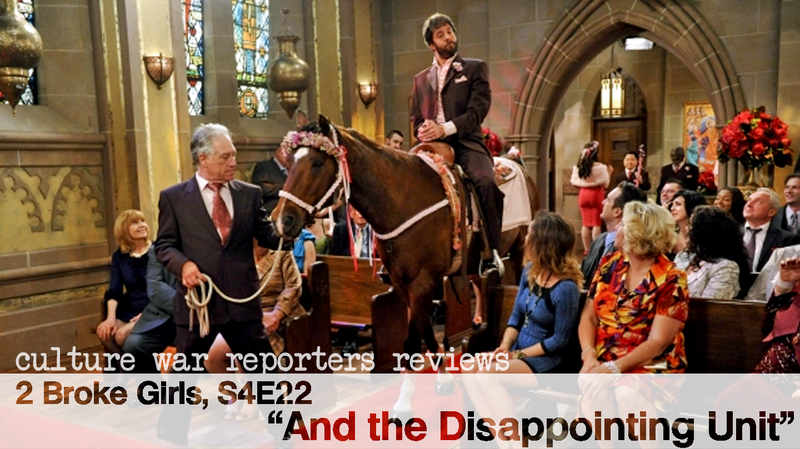 Here we are at last, presented with nearly twenty-two full minutes of television to cap off the fourth season of 2 Broke Girls and set the stage for the fifth. As I’ve pointed out in the past few weeks leading up to this one there is a lot riding on season finales, so it really pains me to say that this one does not deliver. 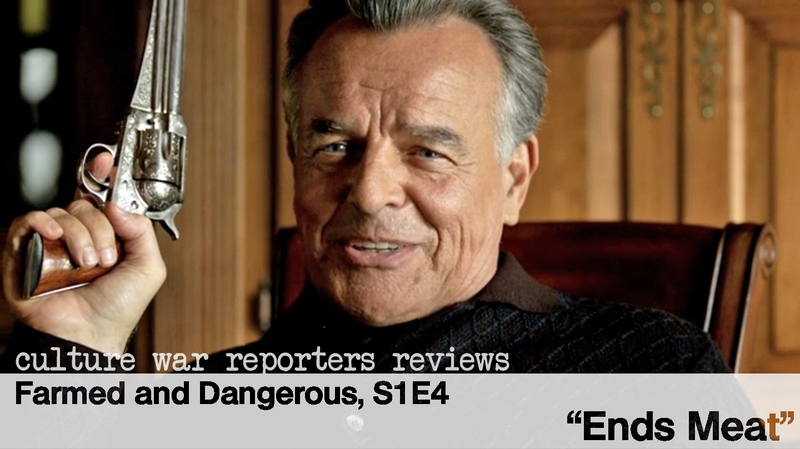 The season finale to any show is, to put it bluntly, important. It’s the culmination of several episodes, hours of television, and must assure viewers that their time was ultimately well-spent. Narrative arcs being drawn to a close is a given, and many series are burdened with the added responsibility of this installment potentially being their very last. It needs to work as a cap to the season, but also possibly for the show as a whole. It’s one of those weeks where Friday rolls around and I find that I’m writing my fifth post of the week. Granted, two of them were reviews and one of them I co-wrote, but it’s still a lot. One of my favourite things to do to shake up the ol’ grey matter is watch a little TV, so of course I ended up finding myself unable to blog about anything else but the finale to Season 5 of Community. We open up with the last Buck Marshall ad we’ll ever see, the IFIB rep. letting us know that shows like the one we’re about to see “worry the public about the dangers of industrial food production.” The issue with this, of course, is that “[their] research shows that worry leads to stress and depression, which is detrimental to your health.” That’s actually great to know, since I was worried going into the season finale.